Enjoy St. Valentine's Day with the romantic Sintra Mountains as the backdrop. 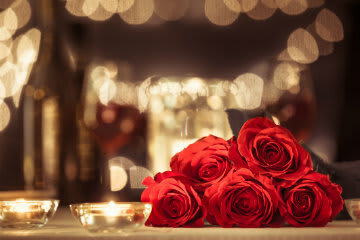 At an intimate candlelit dinner, savour a selection of dishes we have prepared exclusively for a night for lovers. On such a special occasion, you’ll definitely want to feel the seduction of the iconic scenery of Sintra viewed from the comfort of your room.